From the Hergiswil rail station to the glass works by the lake takes three minutes on foot. Note the RailAway combination offers. From the Hergiswil landing stage to the Glasi is just a five minute walk. Further information: Shipping Company of Lake Lucerne, Tel. 041 367 67 67. Company boats can dock directly at the Glasi-Shipyard. 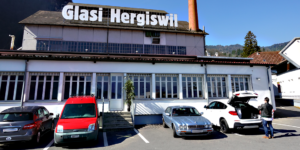 Passengers should alight and board at the designated area – after that the vehicle can be parked at the free car park behind the Glasi Adler Restaurant at the Coop-Building. 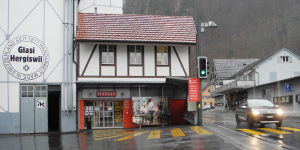 Coming from Lucerne on the N2 motorway in the direction of Gotthard, after around 10 kilometres leave the motorway in Hergiswil and drive right through the village – you can’t miss us! 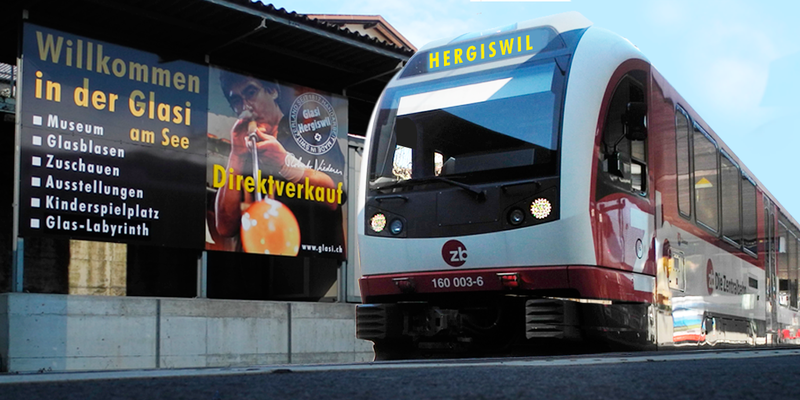 Coming from Stans, take the Hergiswil exit. Parking can be found at the Glasi-Restaurant Adler or behind the park house (1 hour free parking after registering). Additional parking spots are located by the lake next to Glasi. 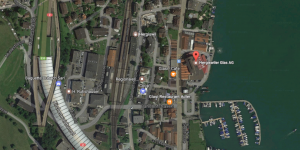 To see the route for reaching the glass works and where the Glasi is located, please click on the satellite view. This can be magnified or reduced and printed out at your convenience.